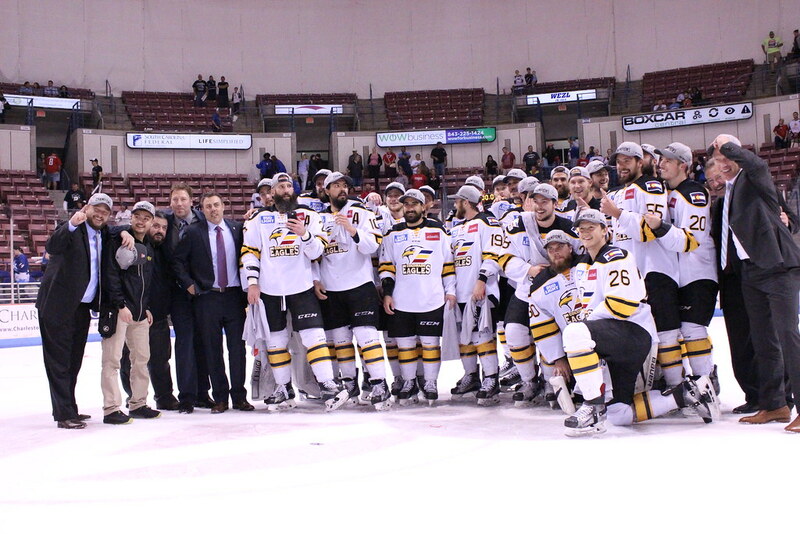 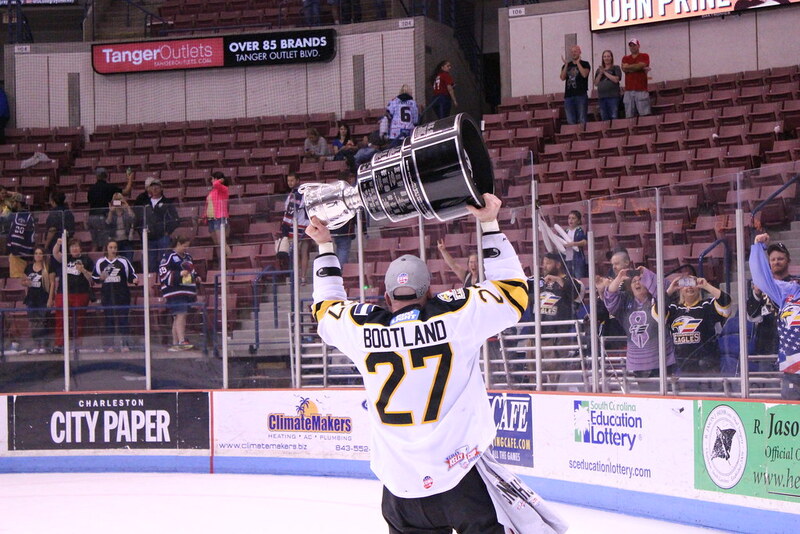 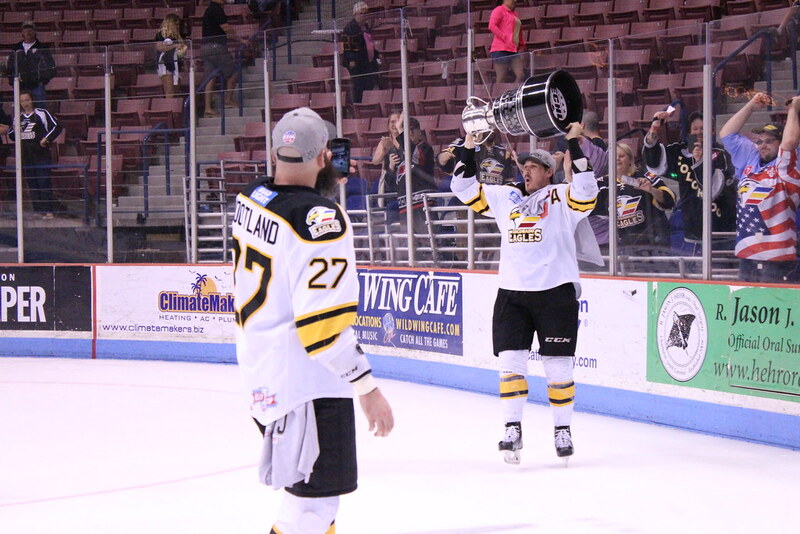 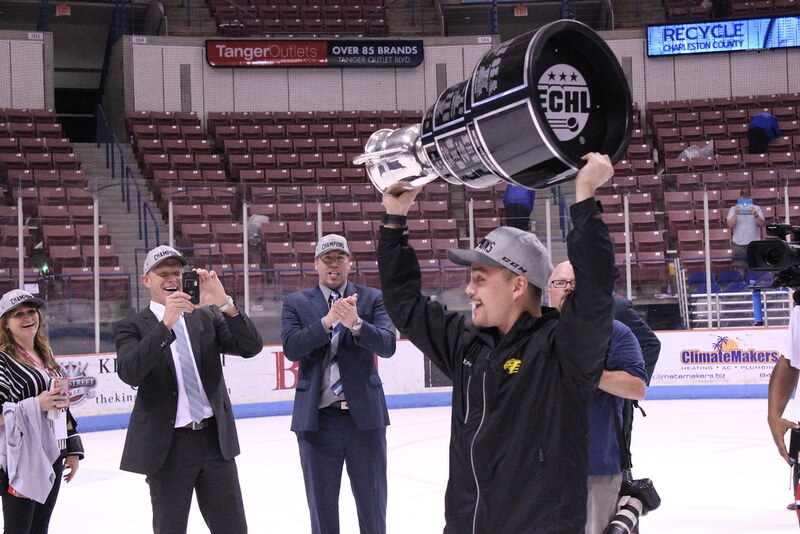 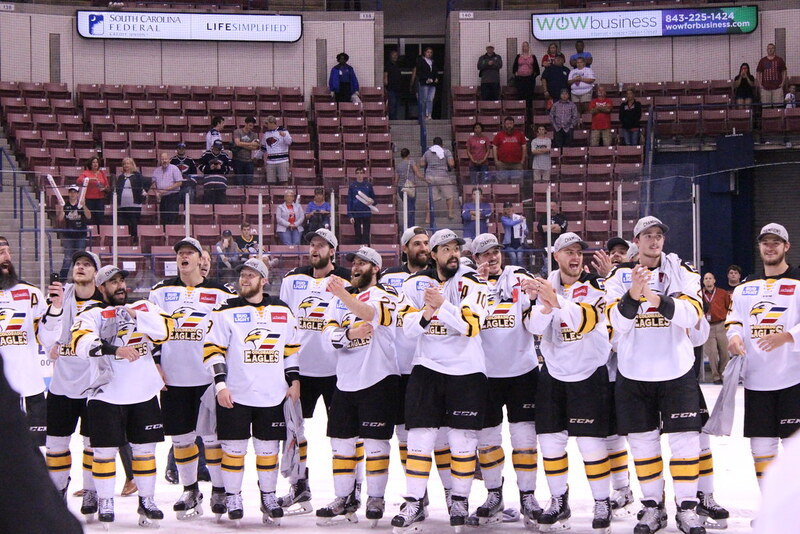 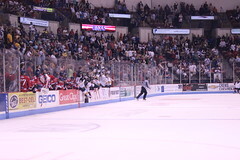 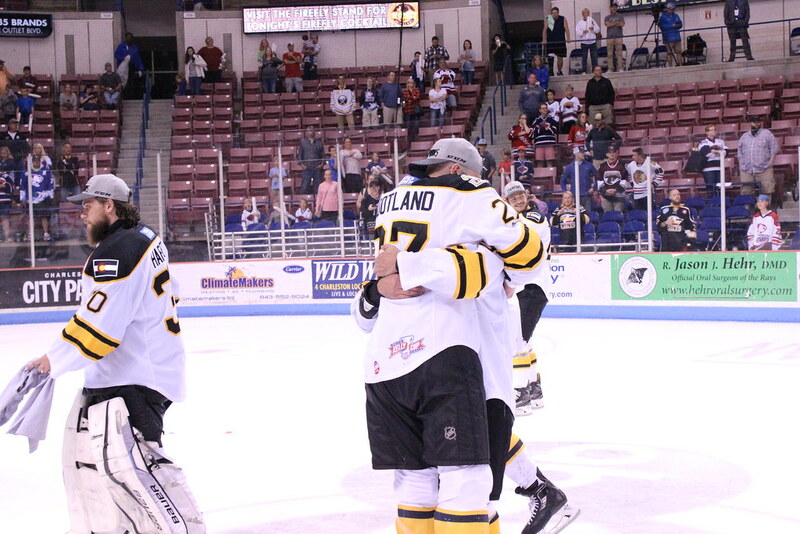 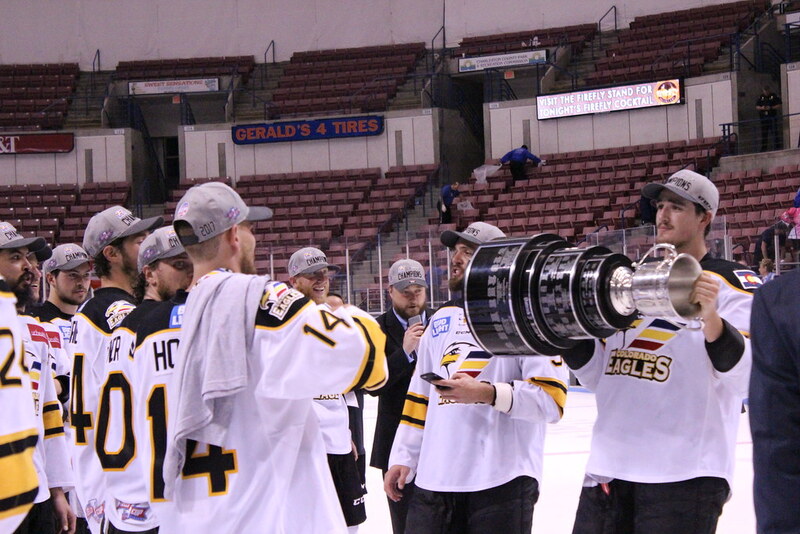 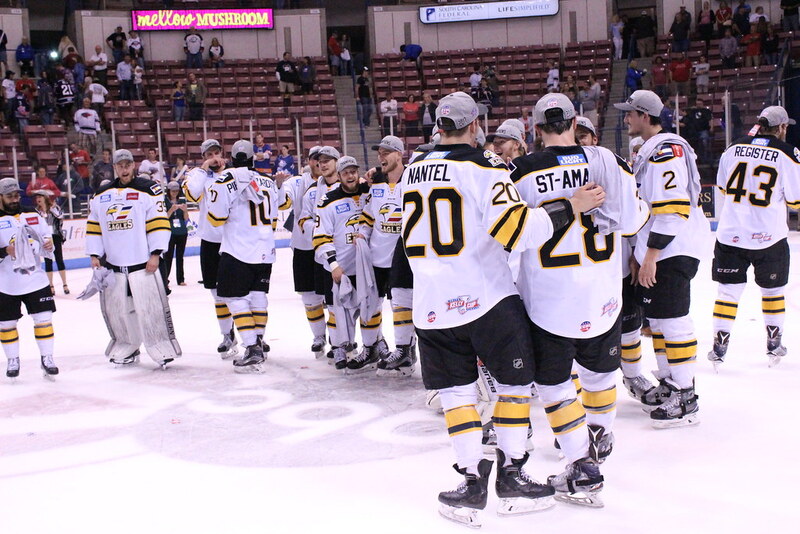 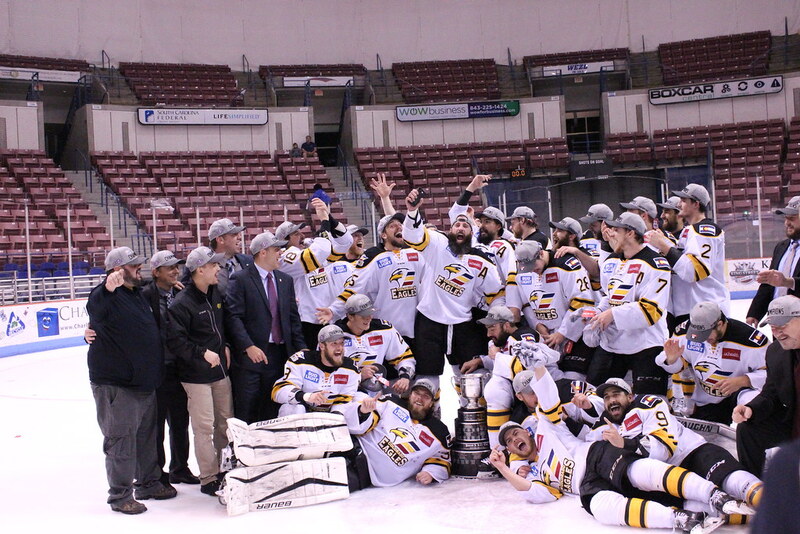 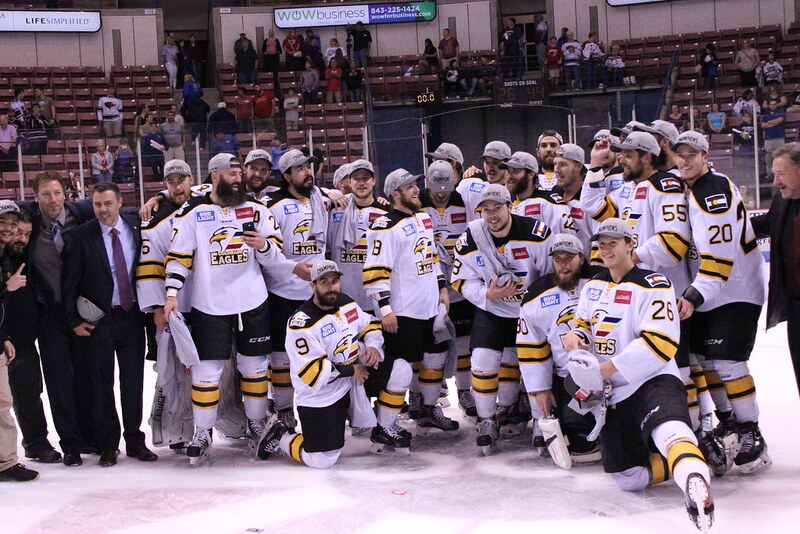 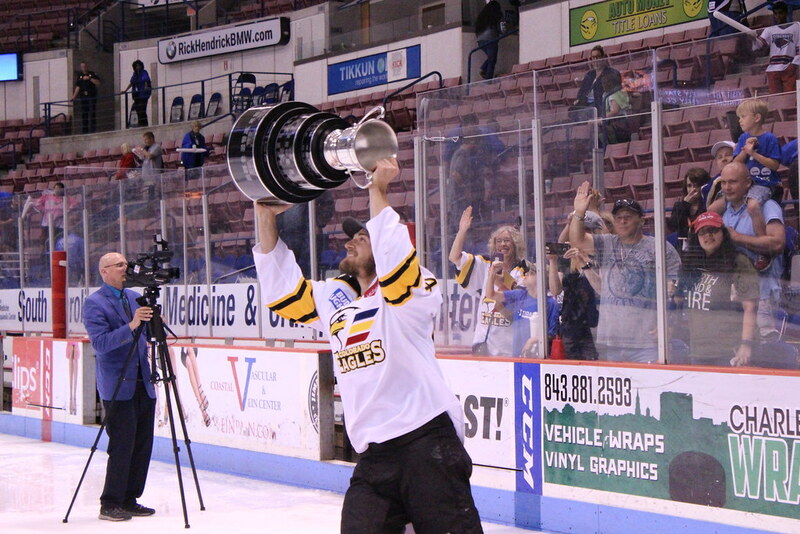 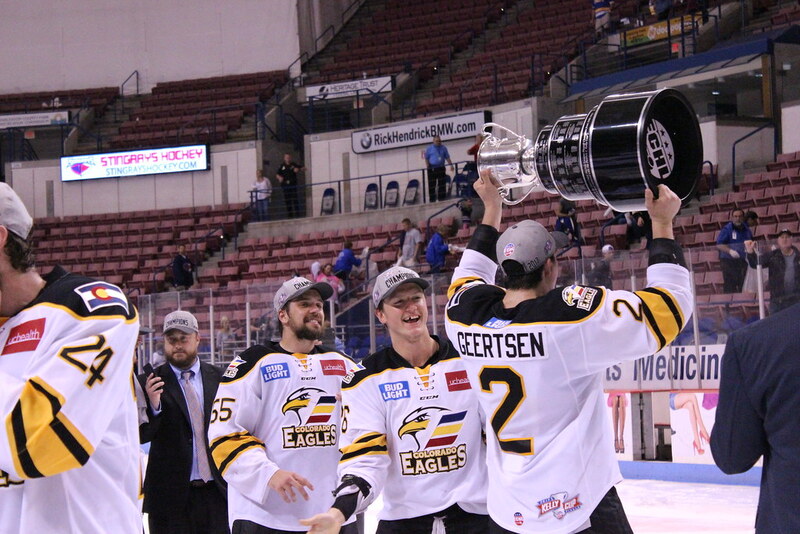 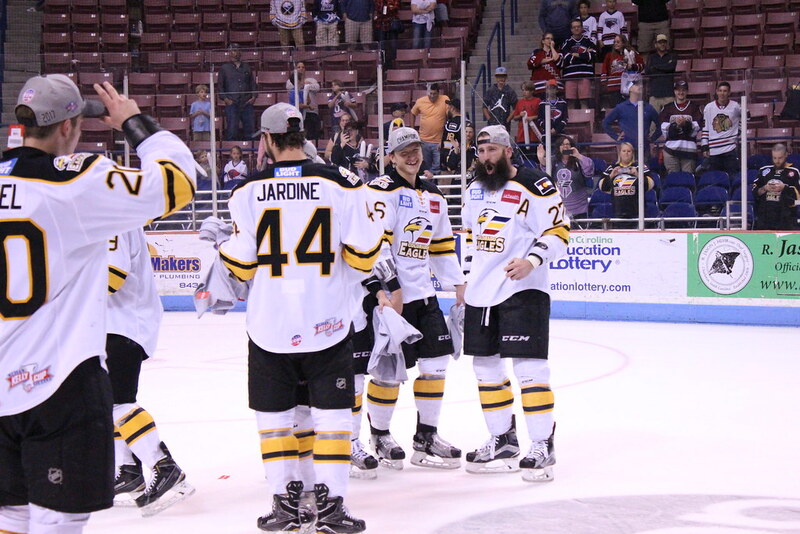 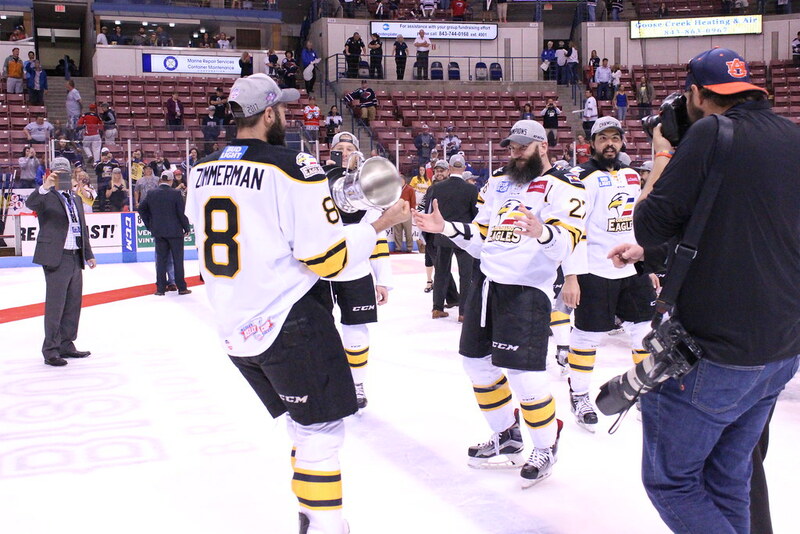 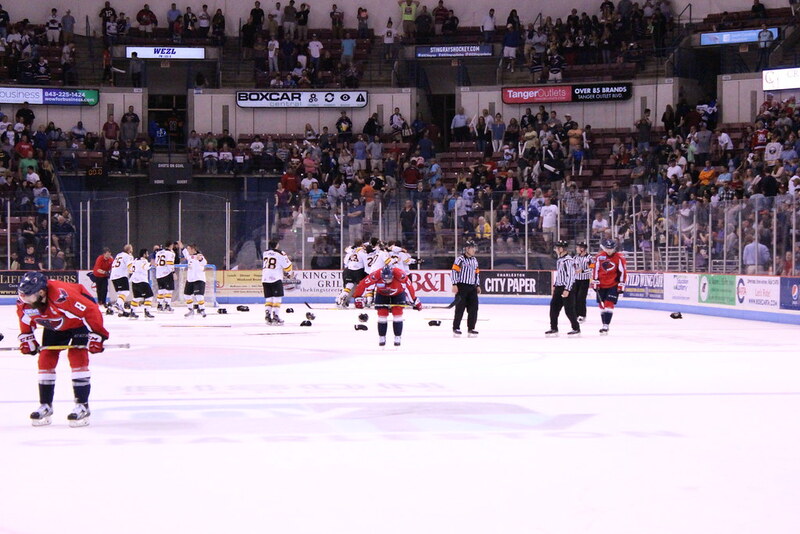 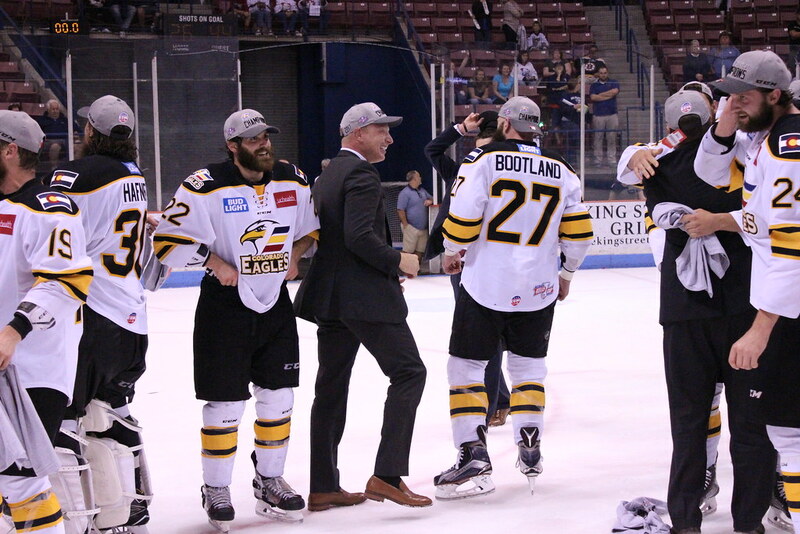 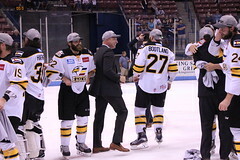 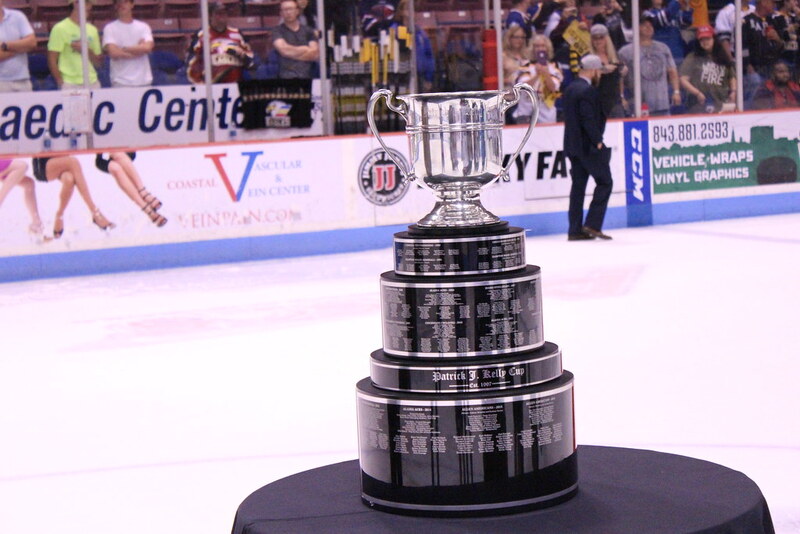 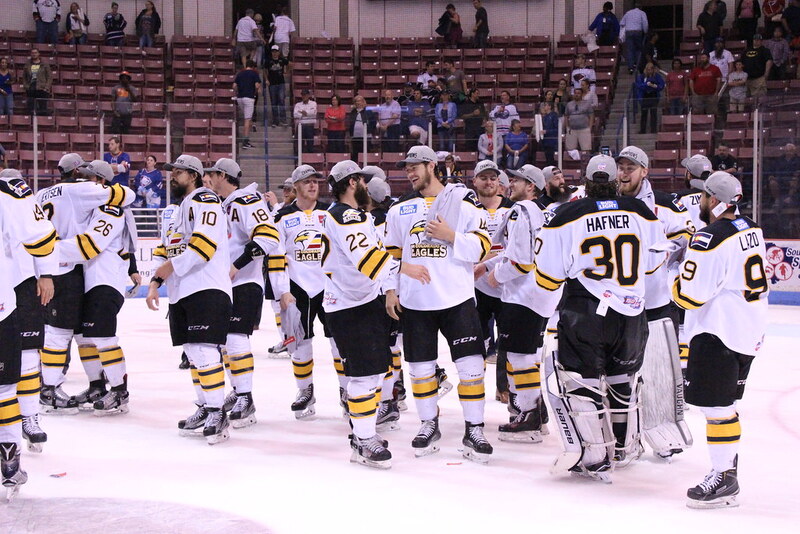 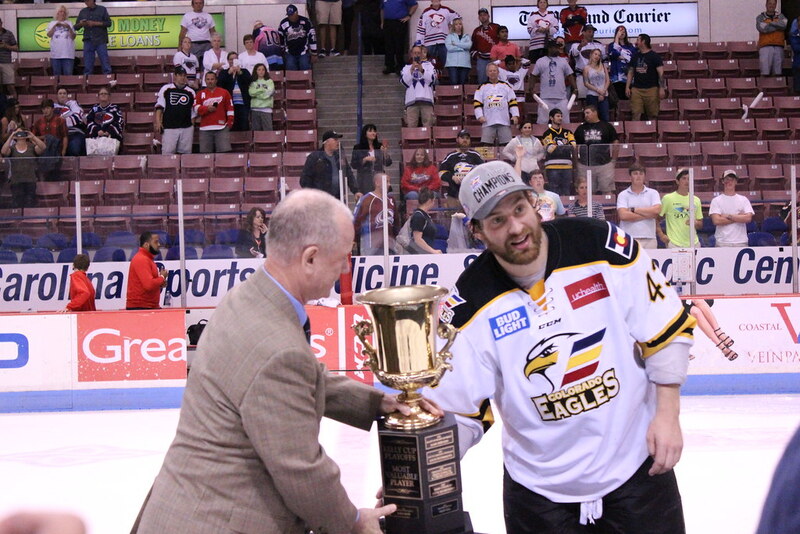 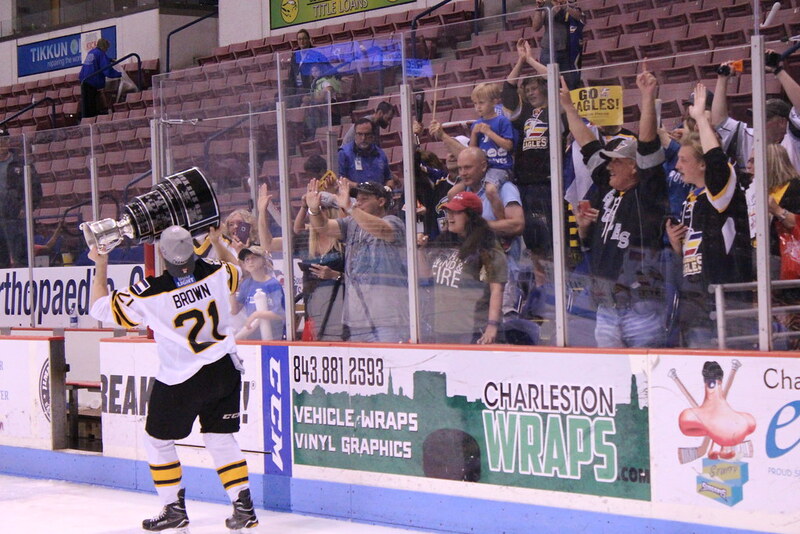 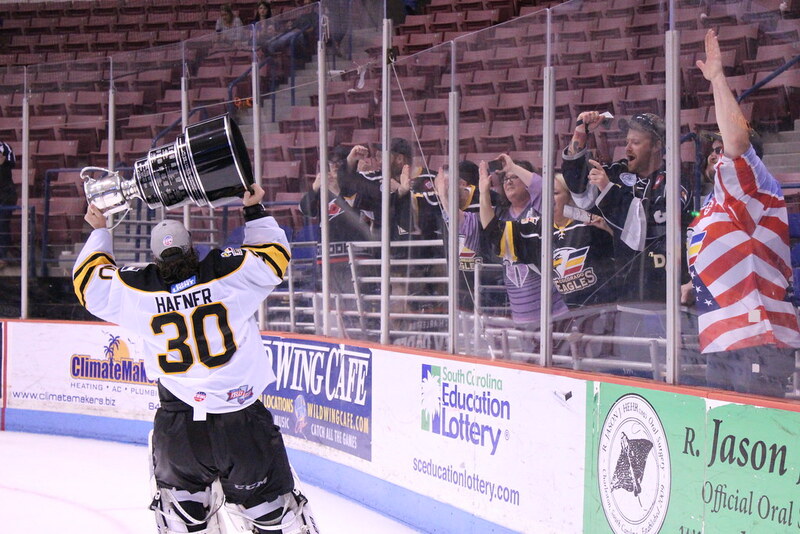 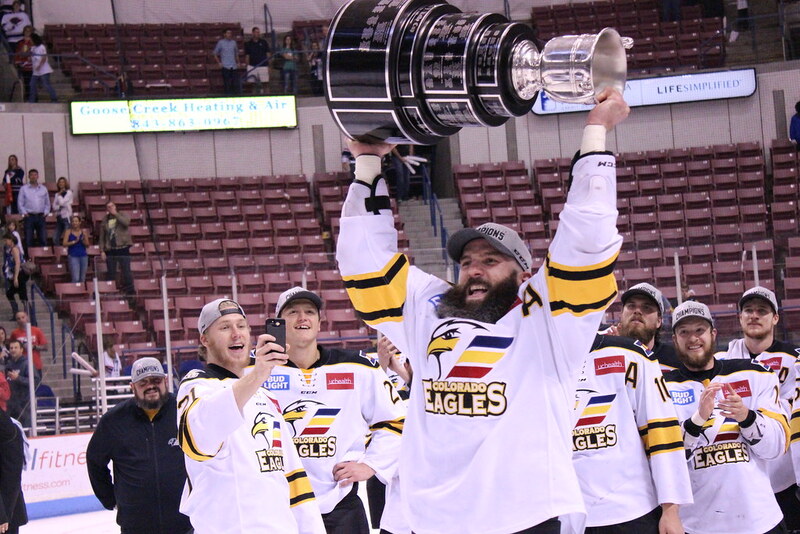 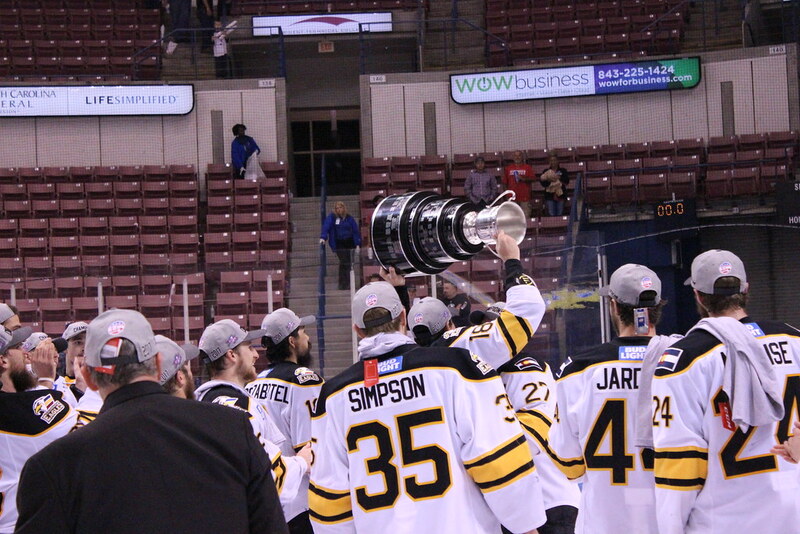 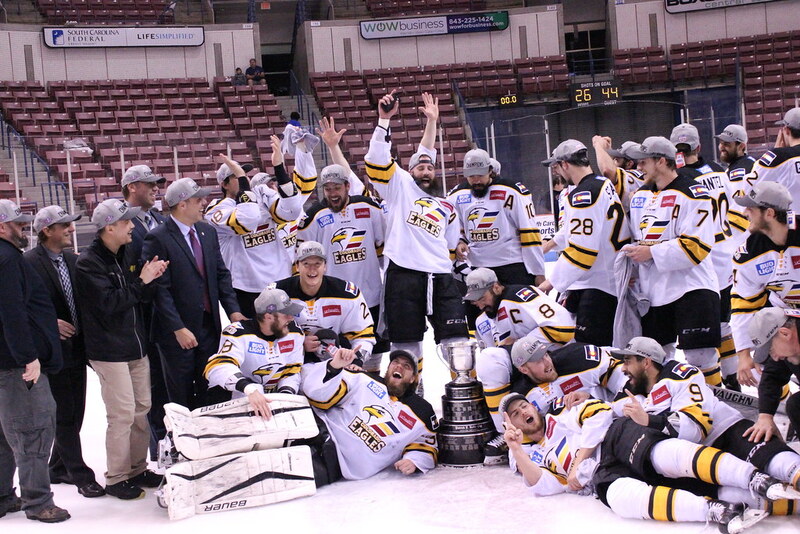 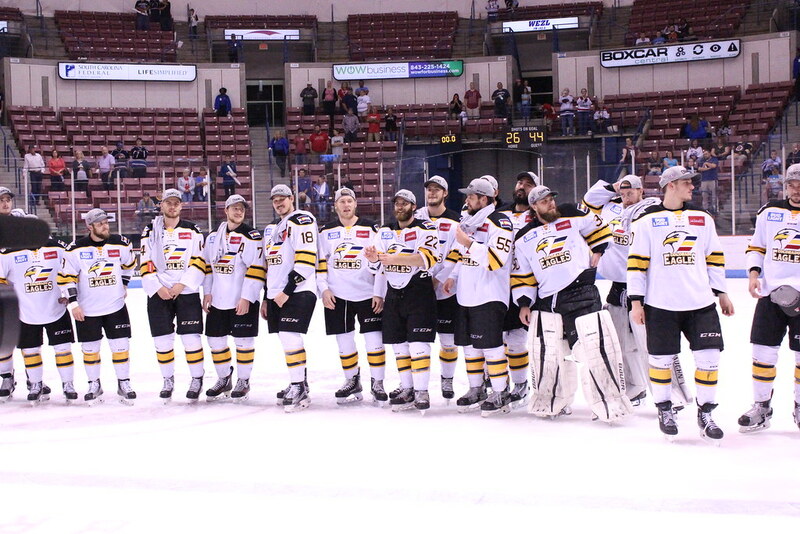 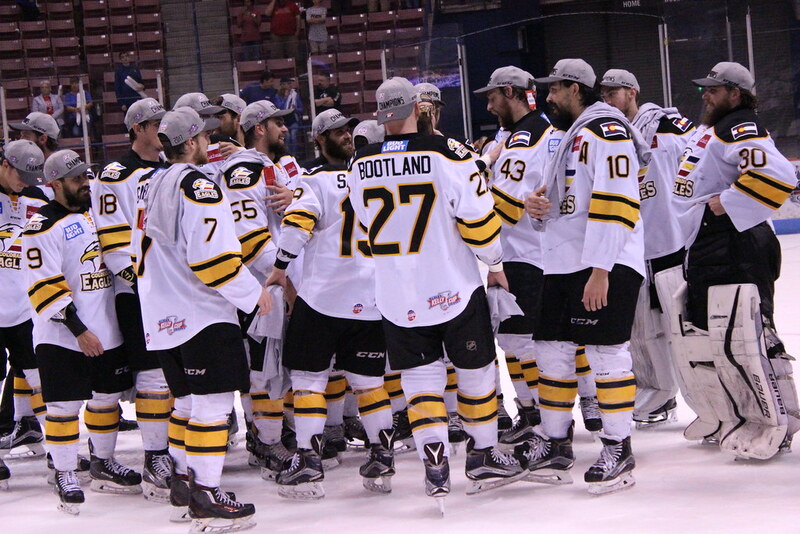 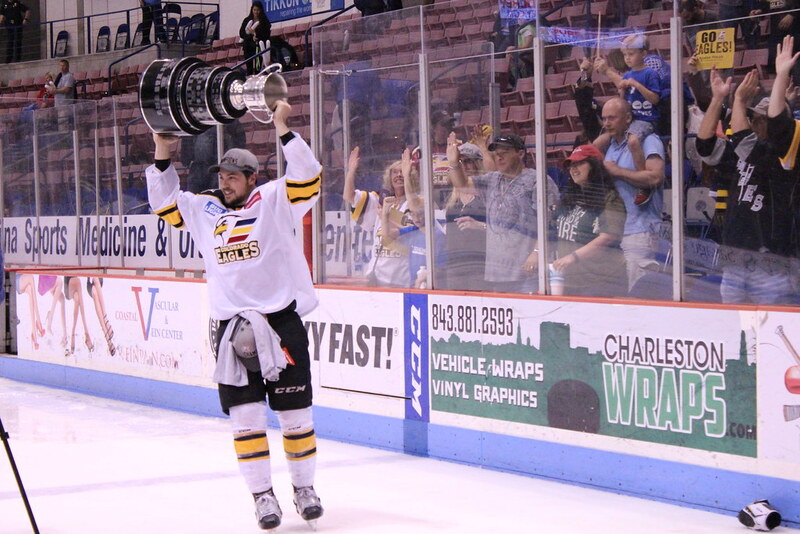 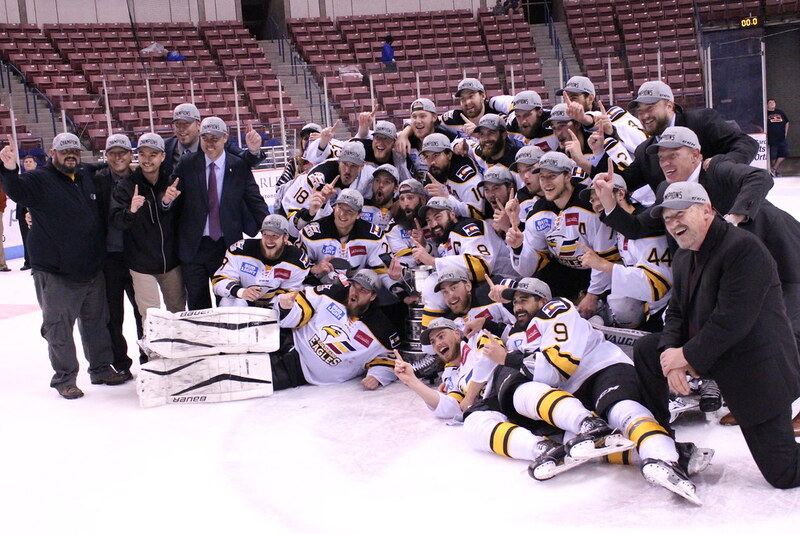 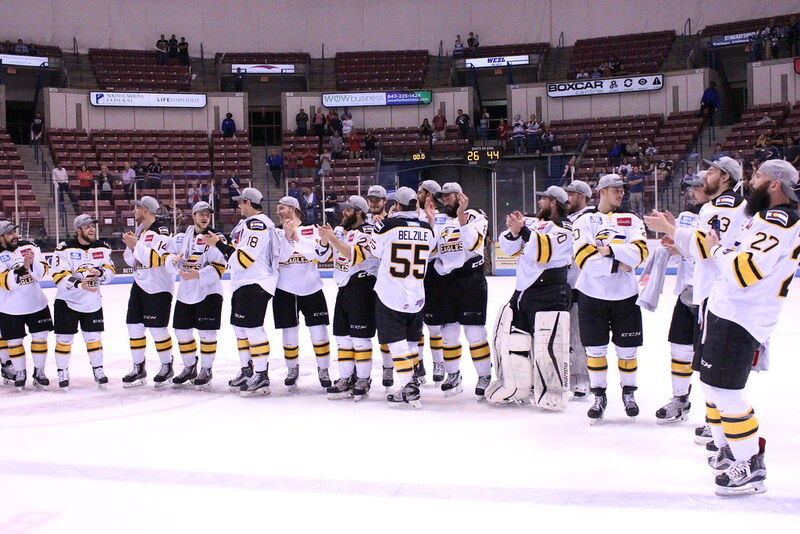 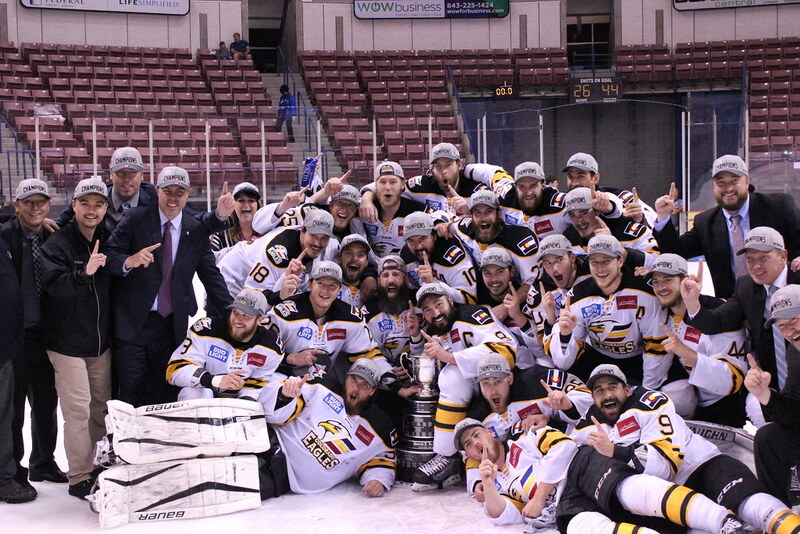 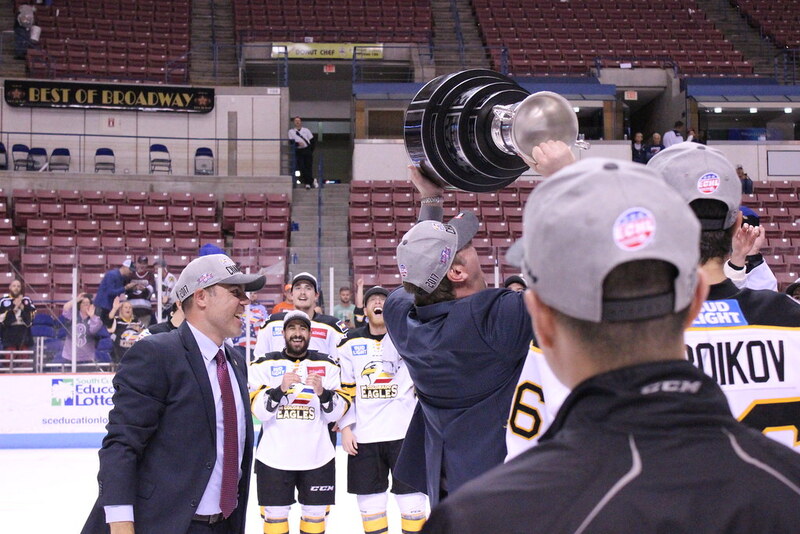 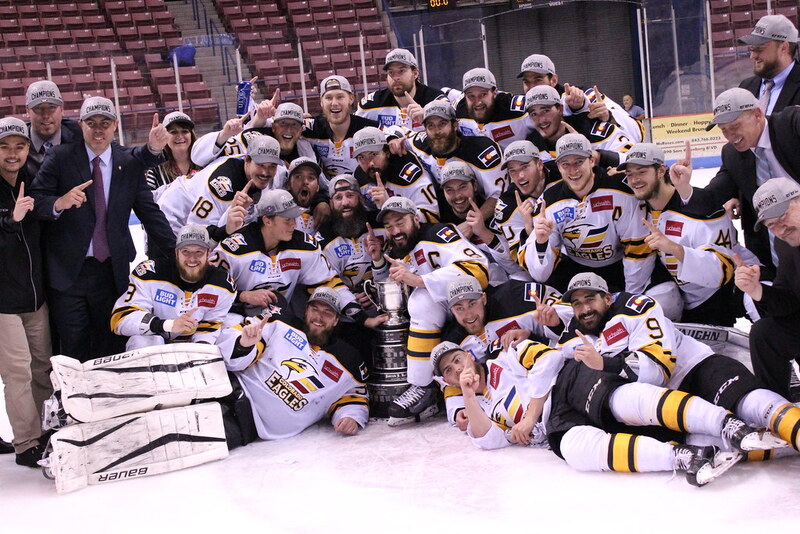 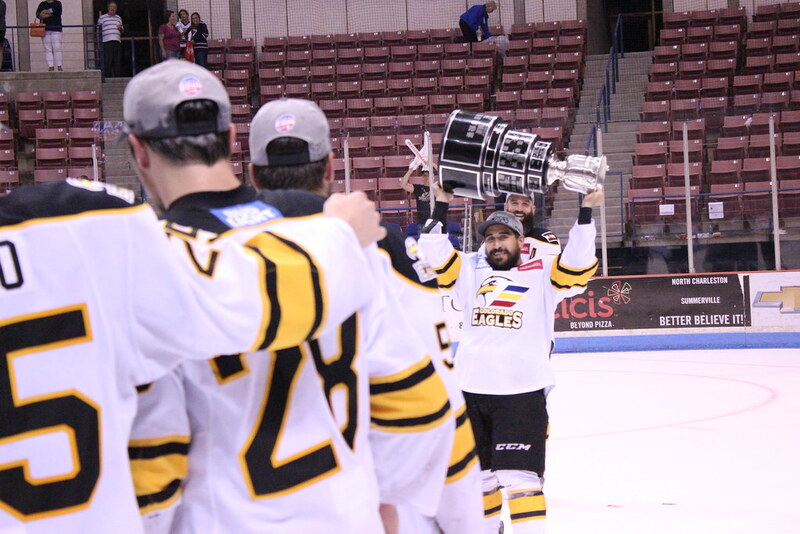 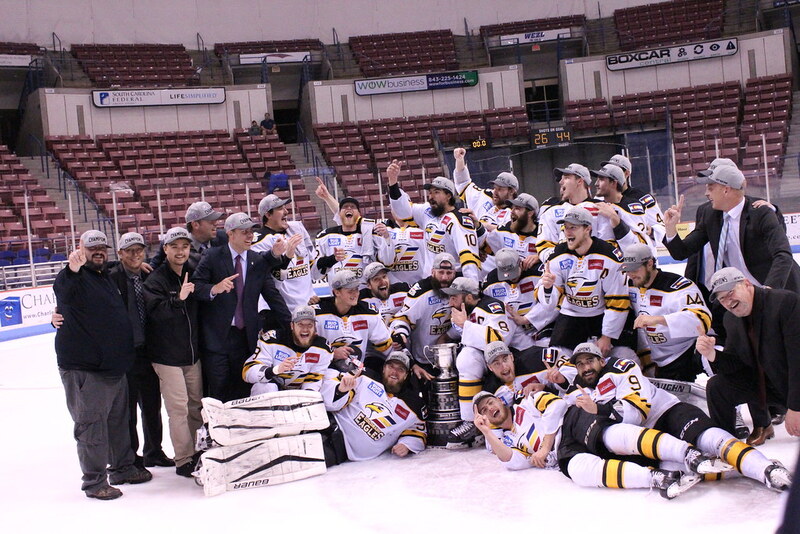 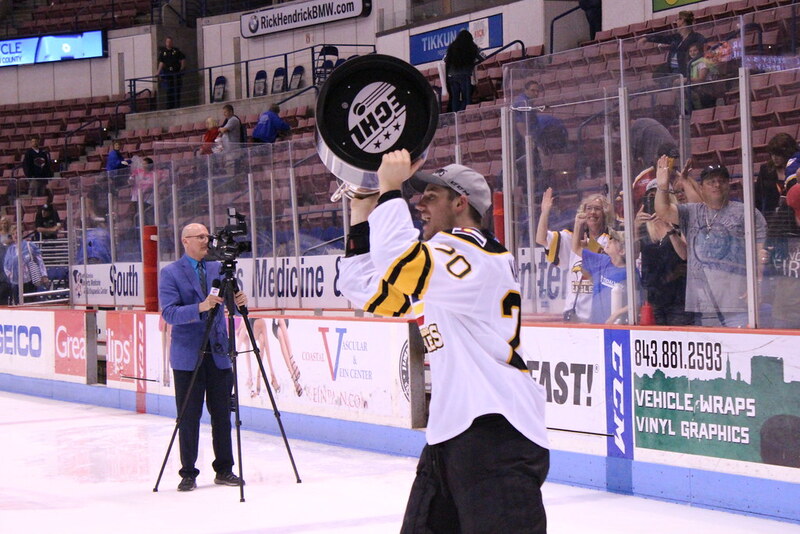 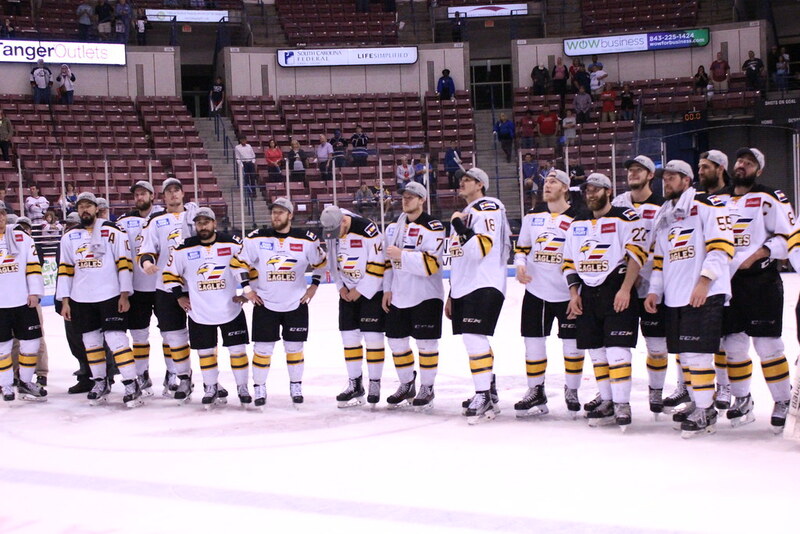 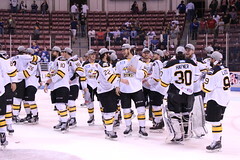 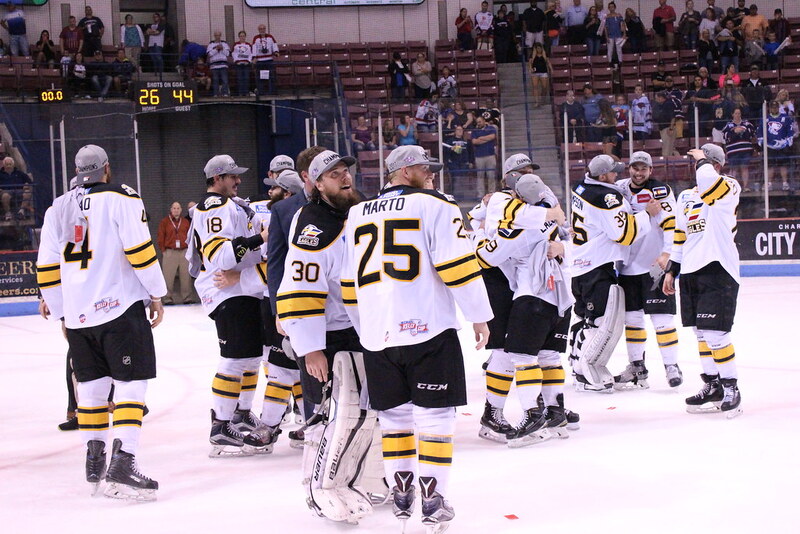 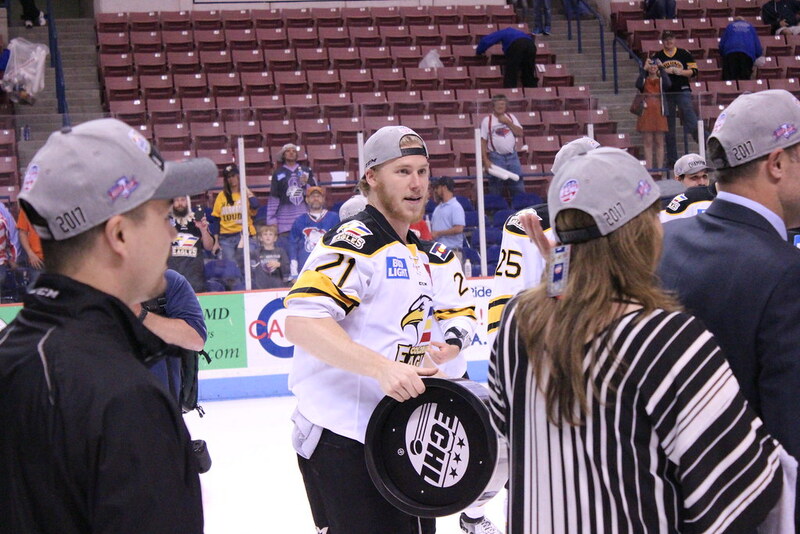 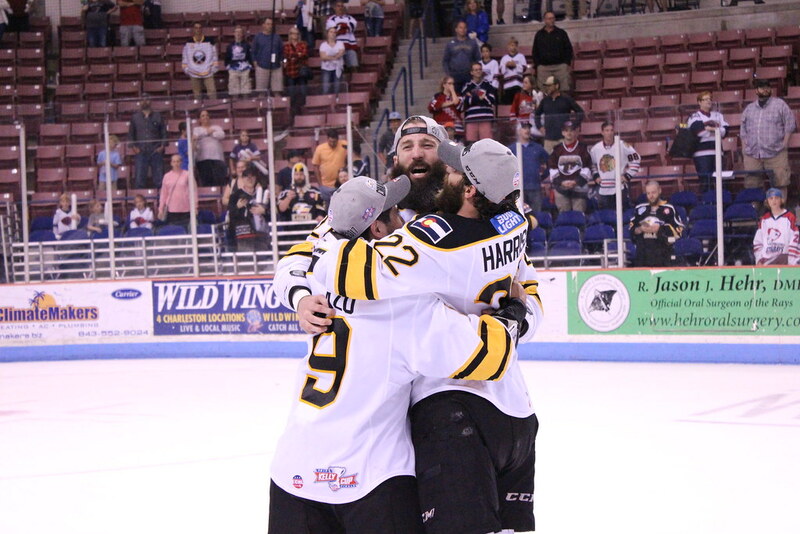 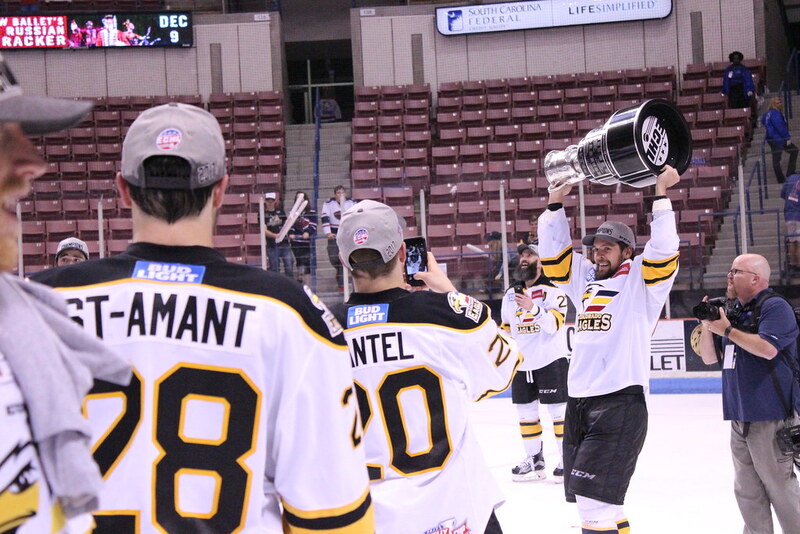 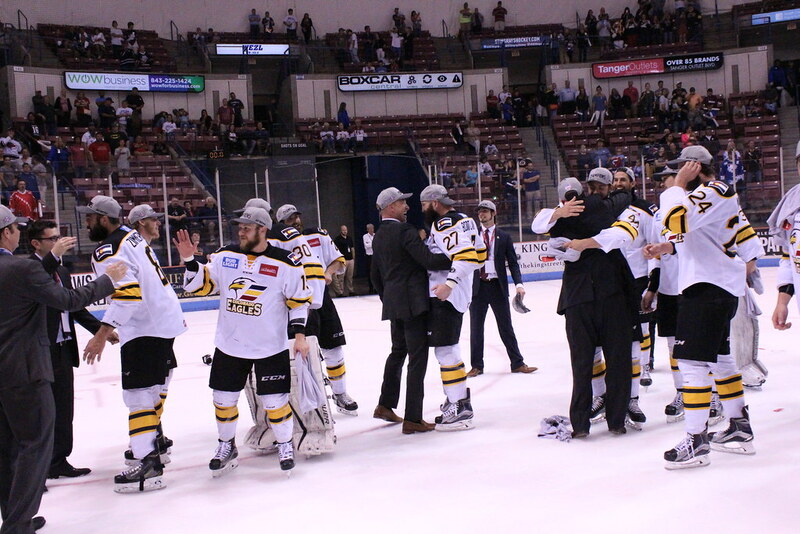 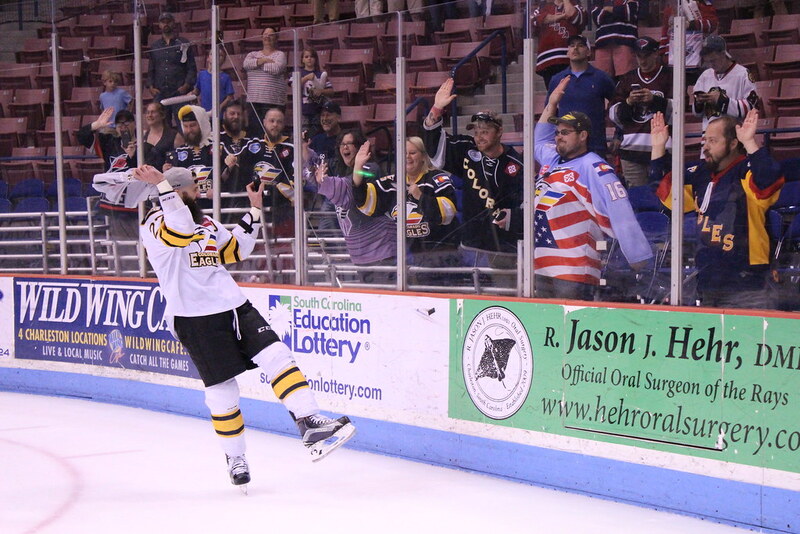 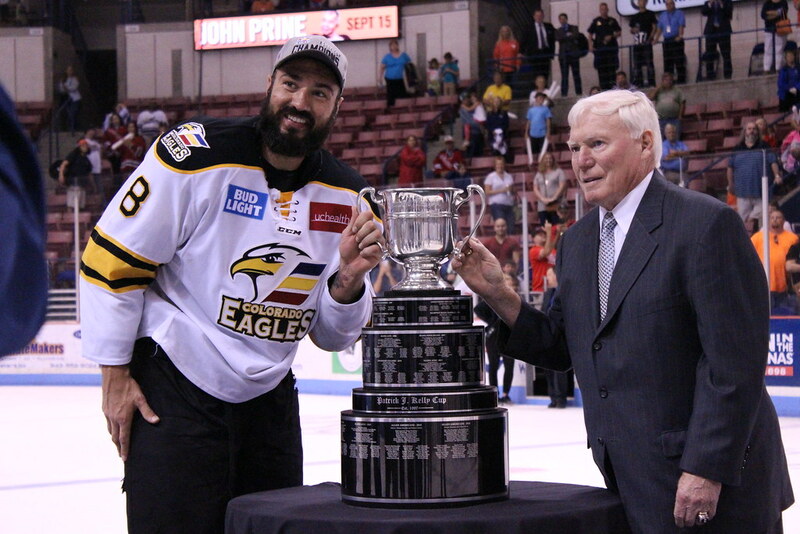 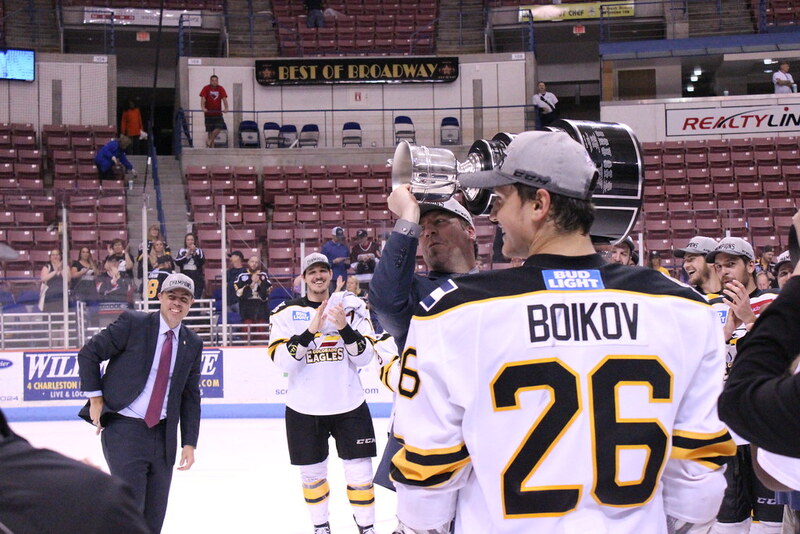 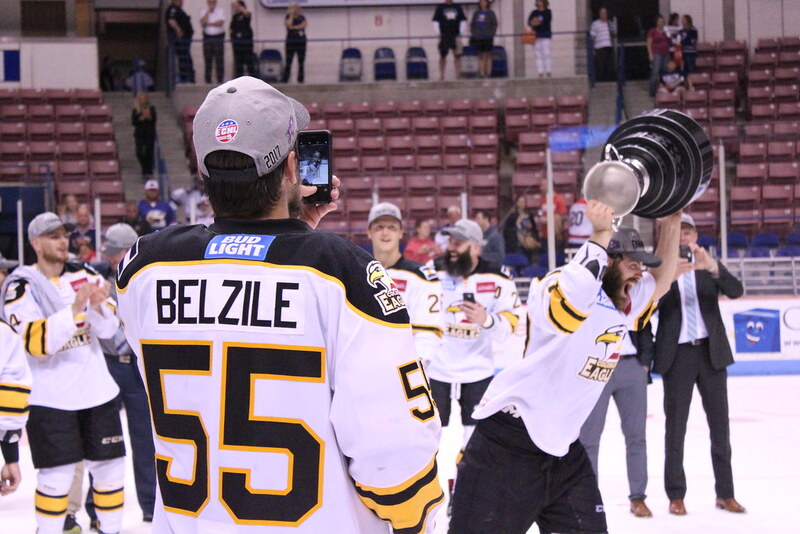 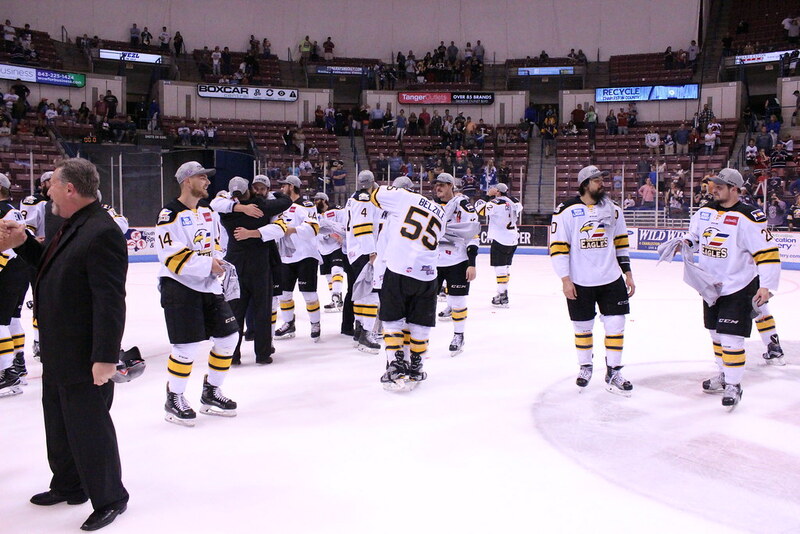 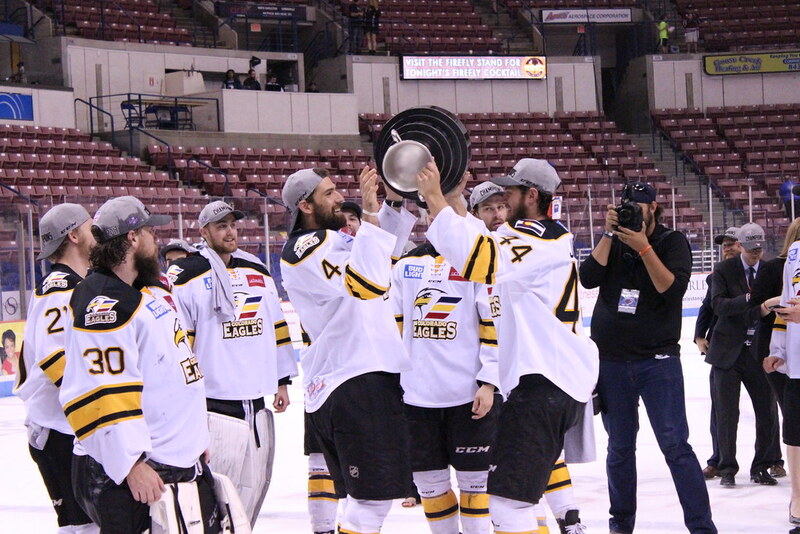 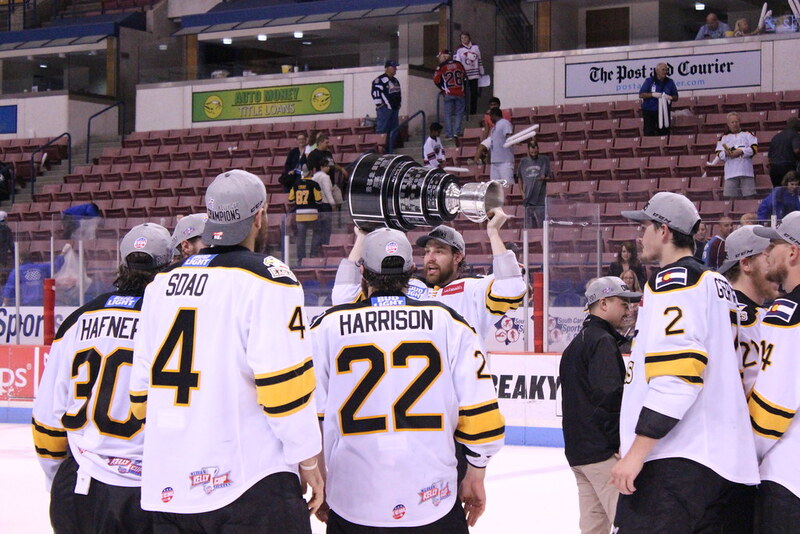 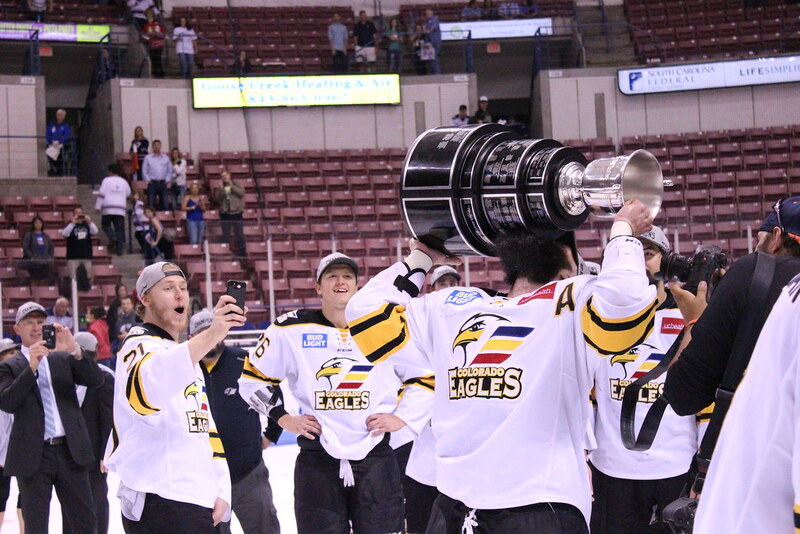 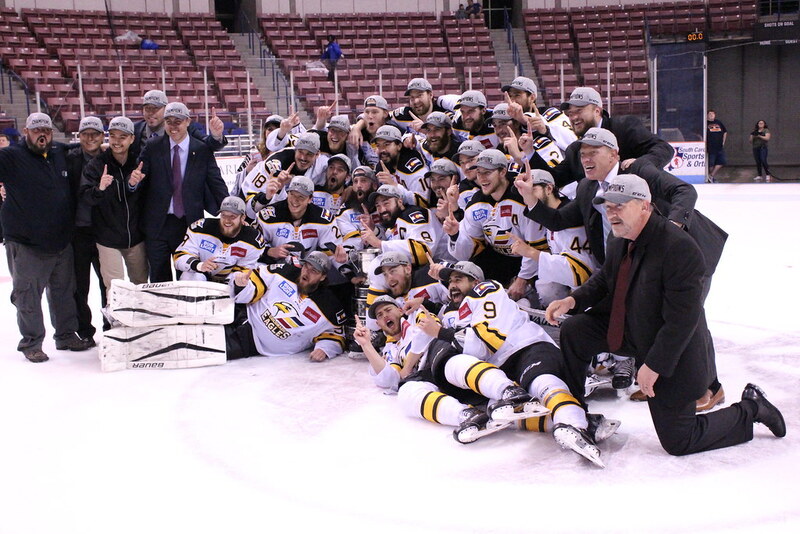 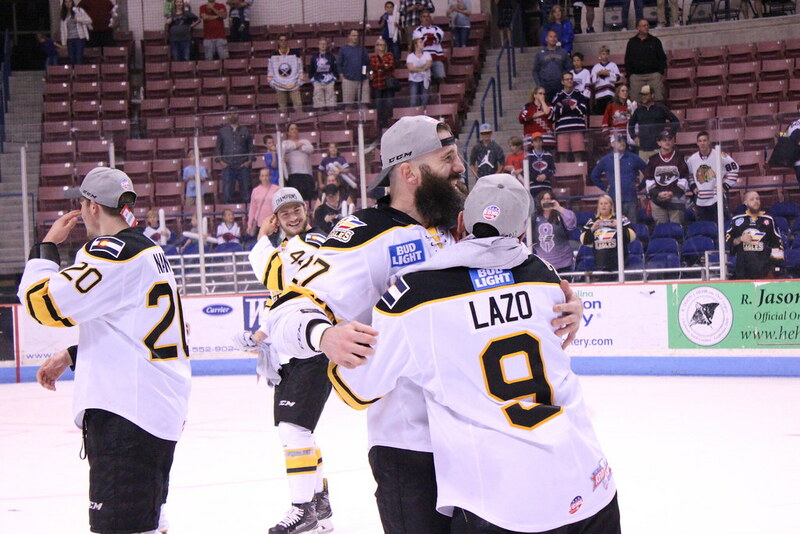 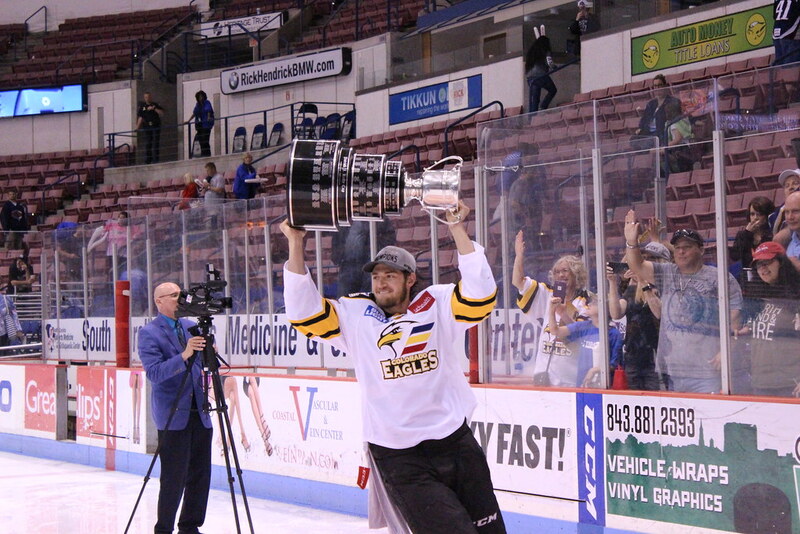 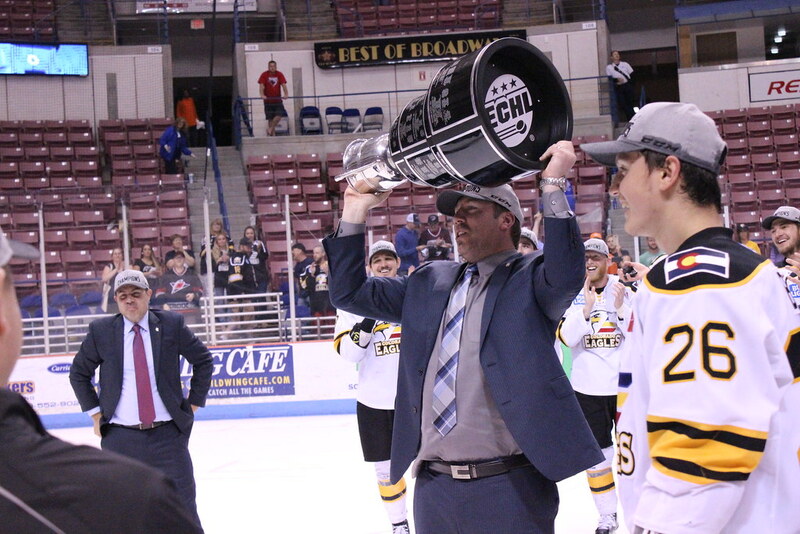 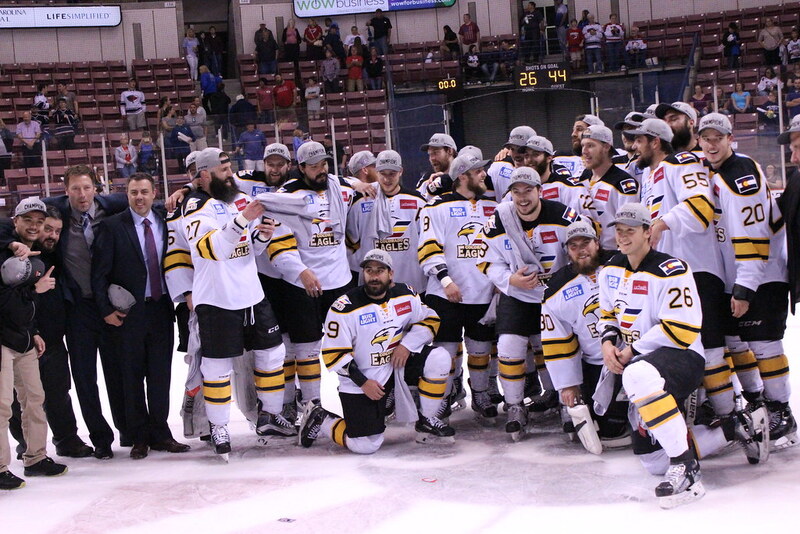 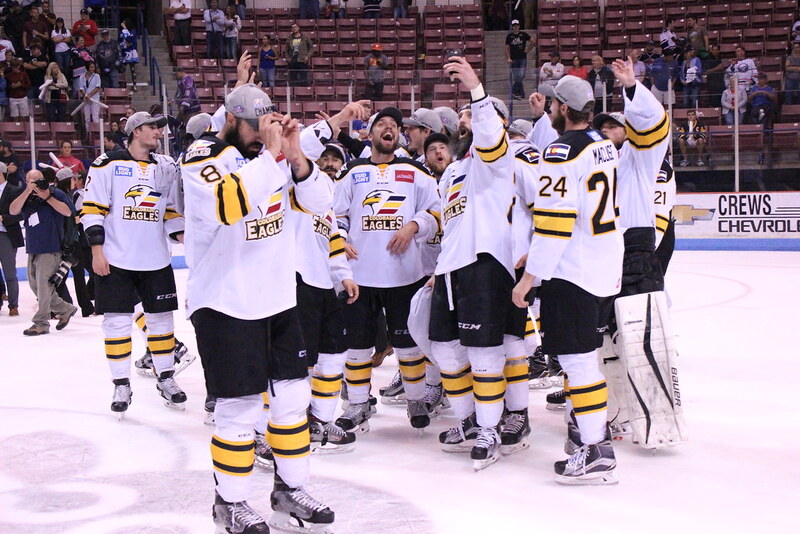 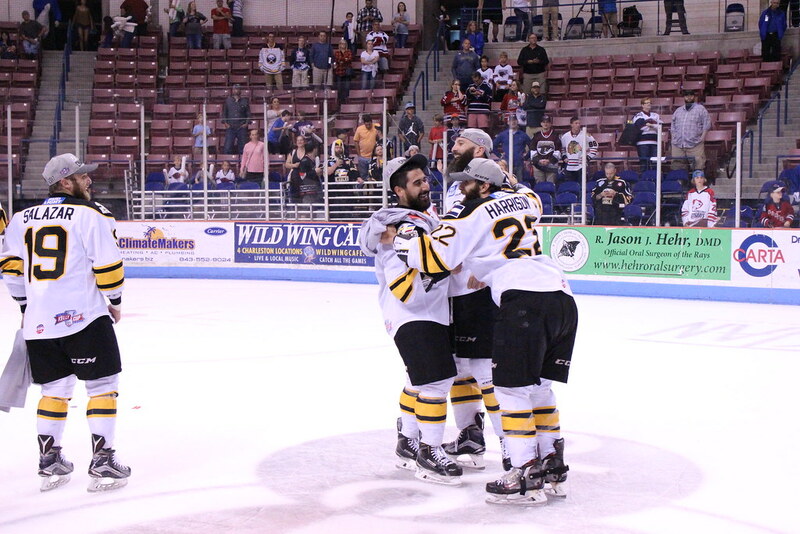 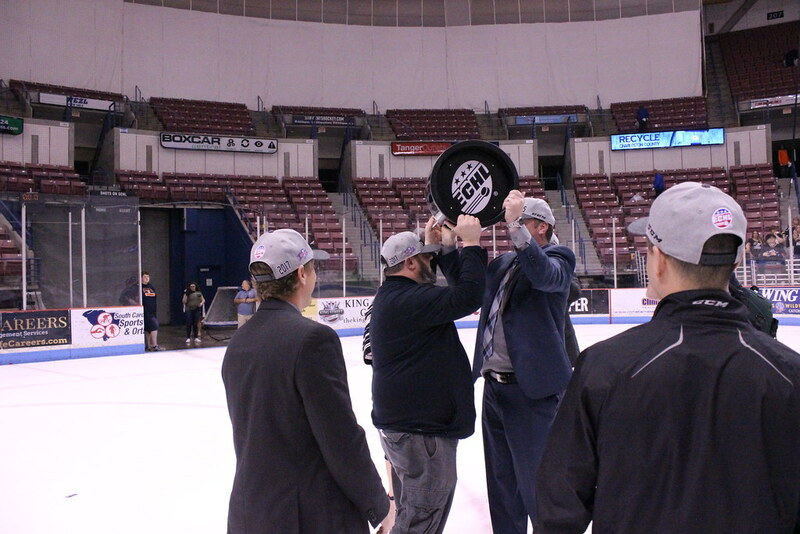 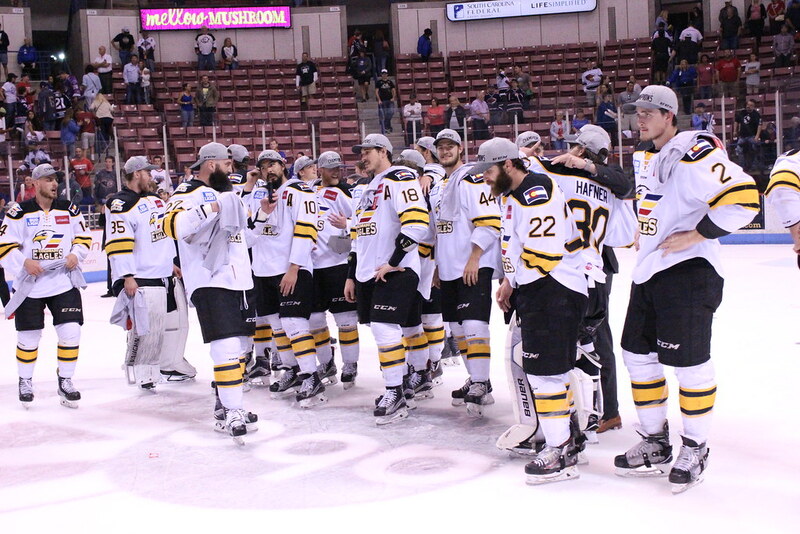 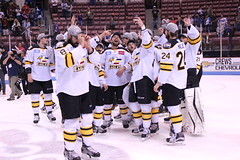 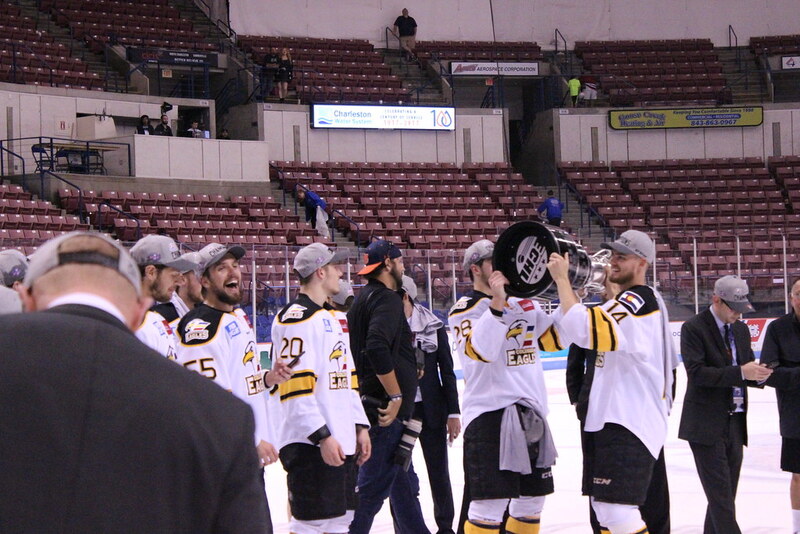 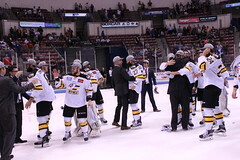 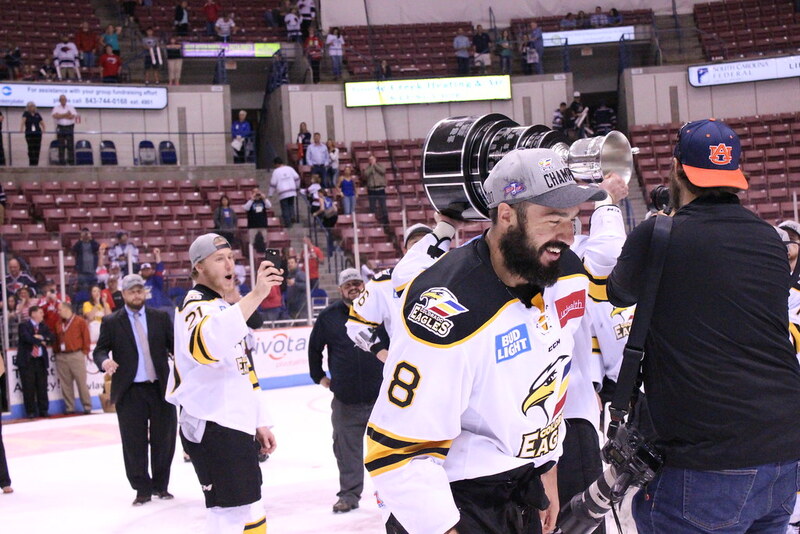 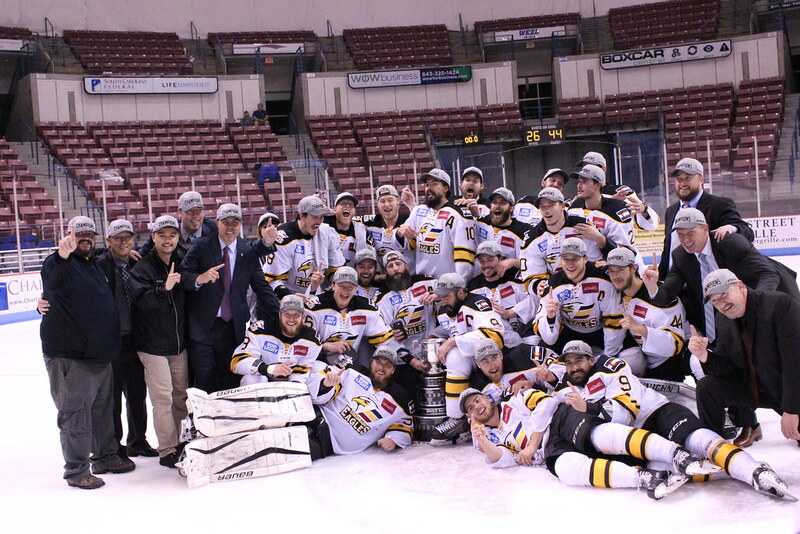 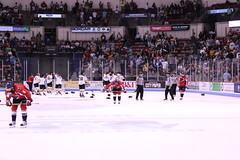 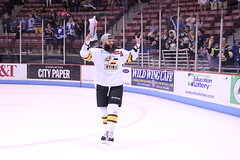 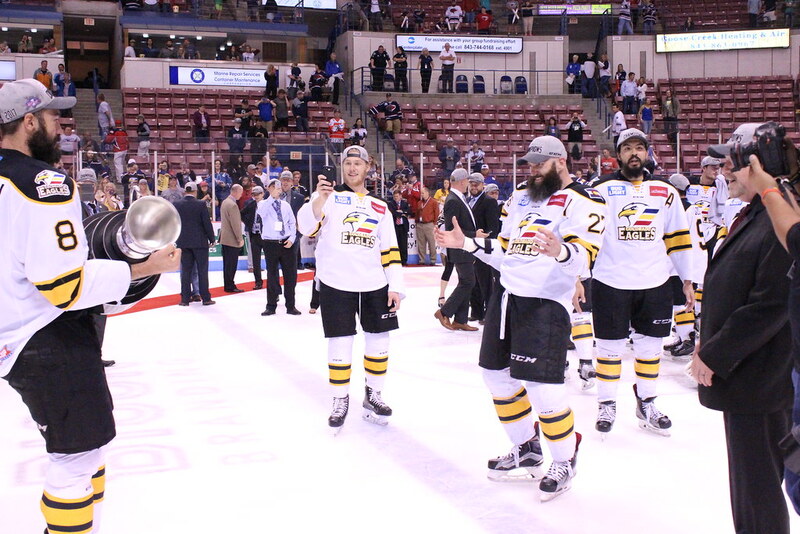 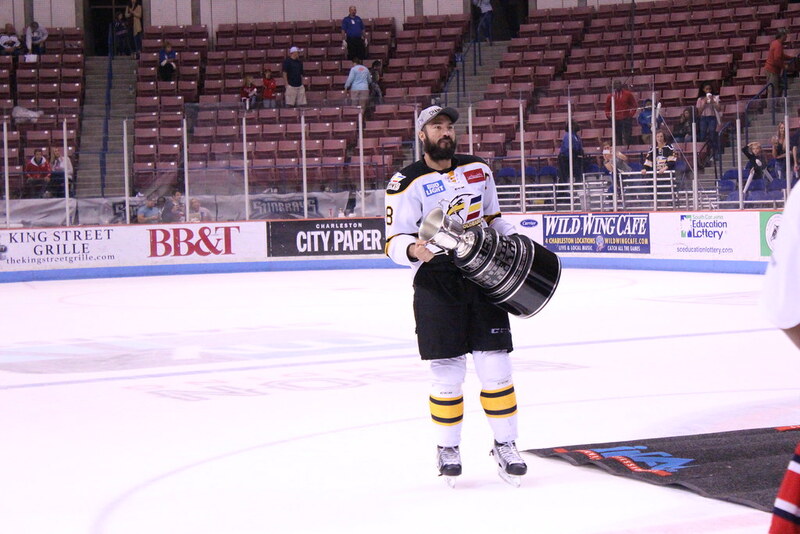 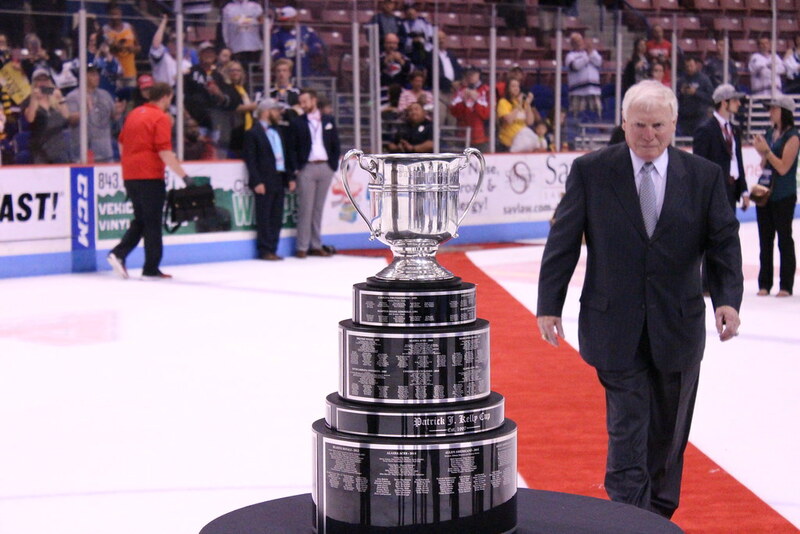 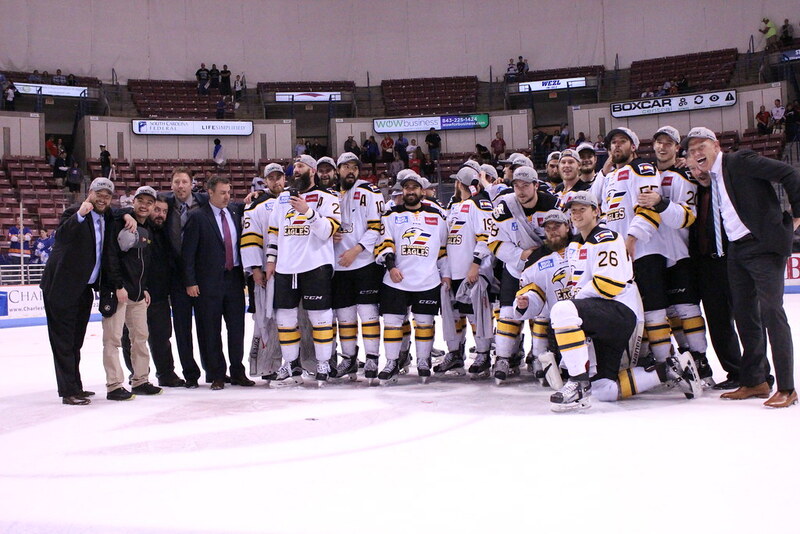 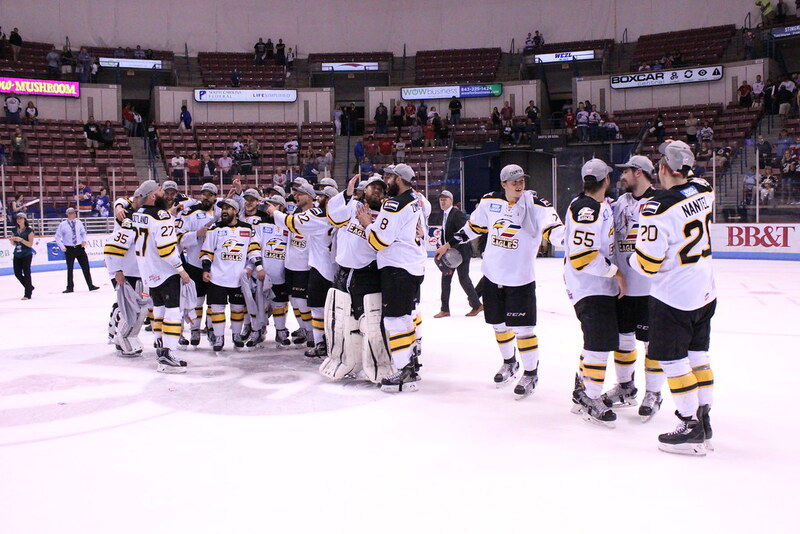 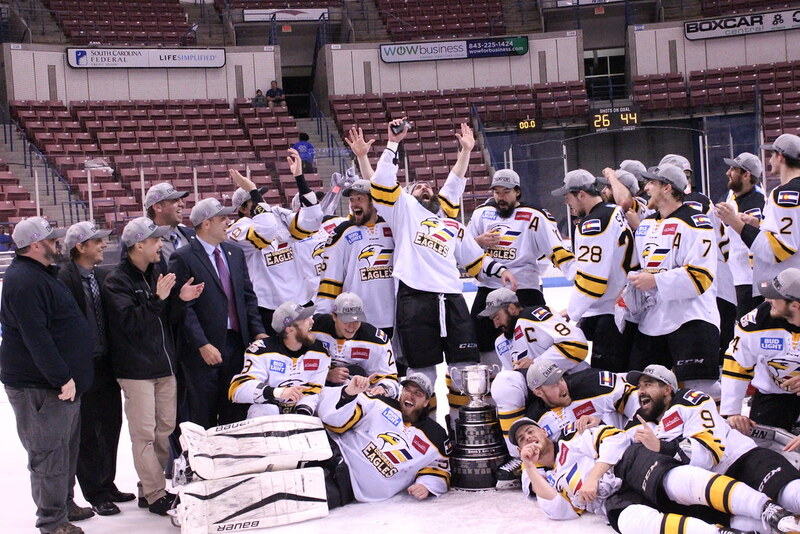 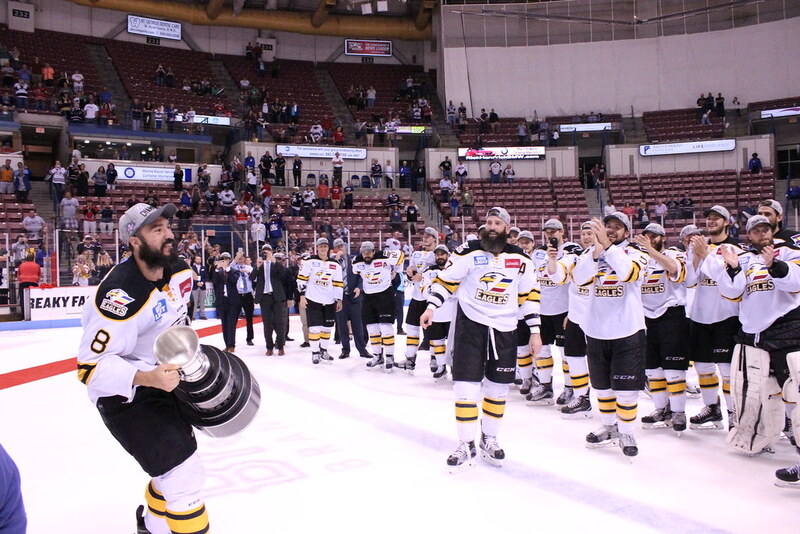 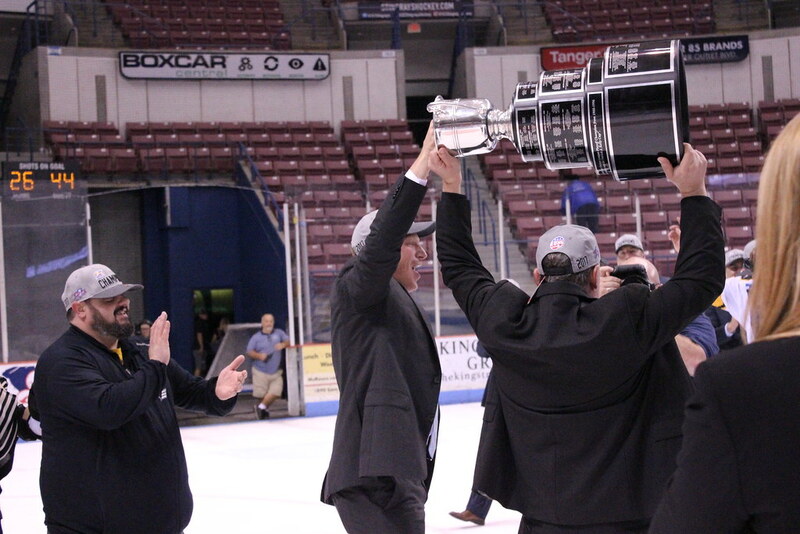 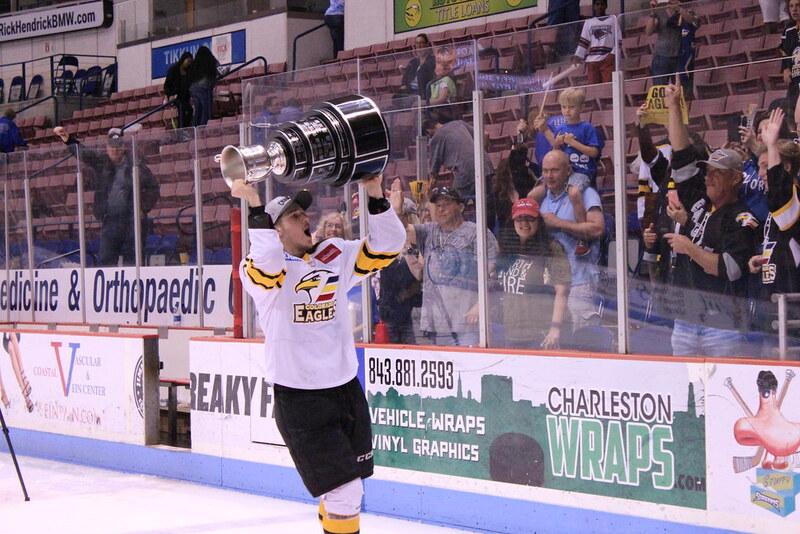 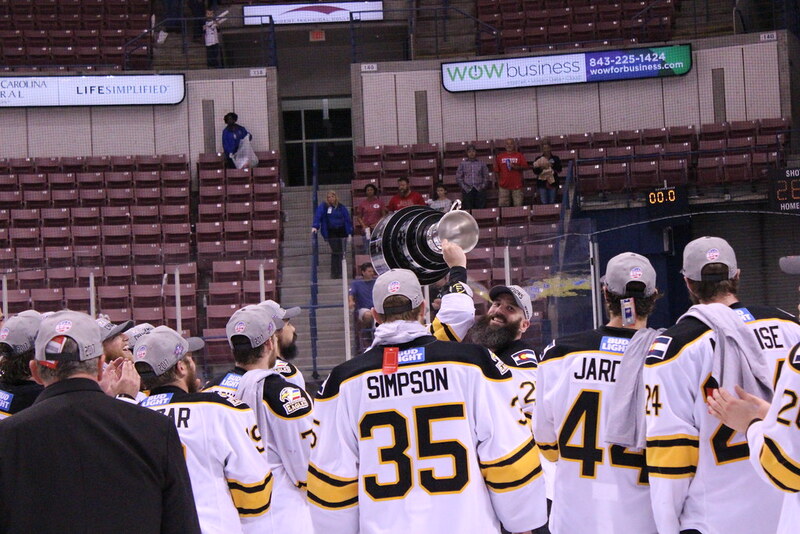 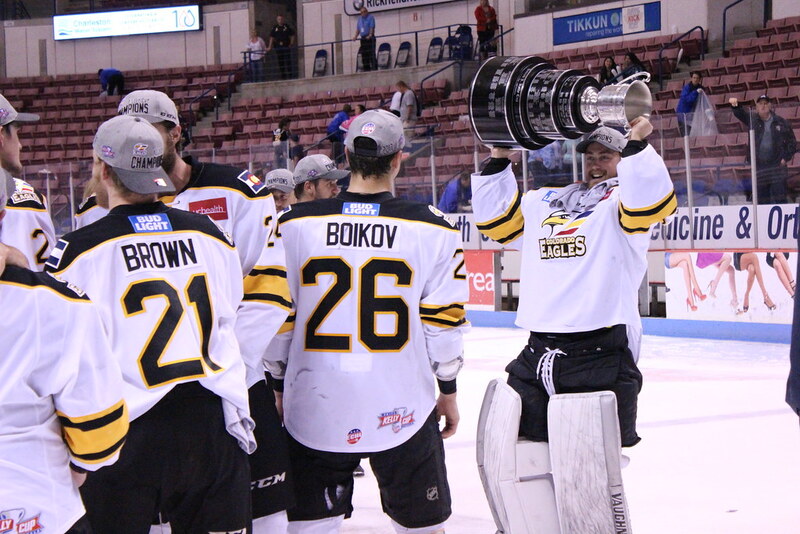 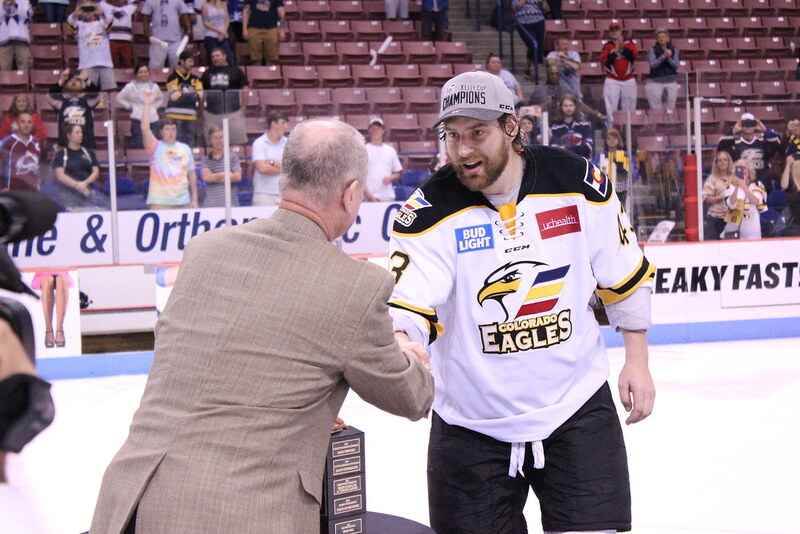 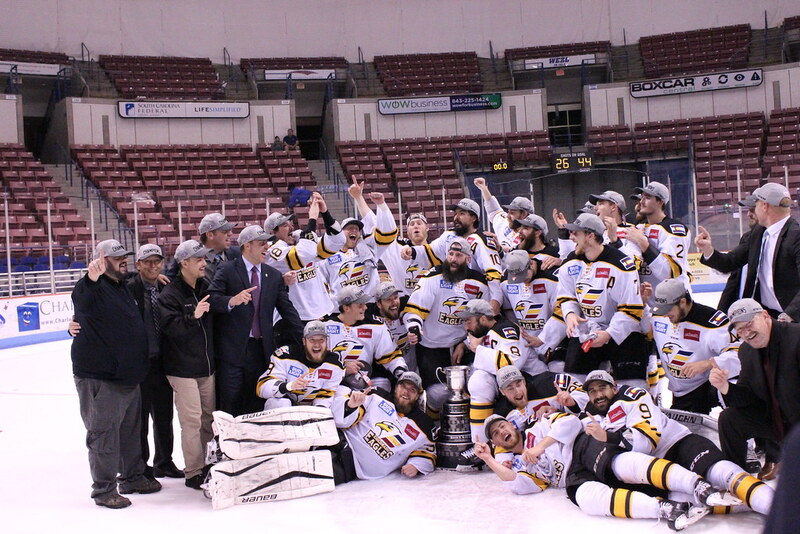 NORTH CHARLESTON, SC — On Monday night, the Colorado Eagles completed the four-game sweep of the South Carolina Stingrays and lifted the Patrick J. Kelly Cup for the first time in franchise history with a 2-1 victory. 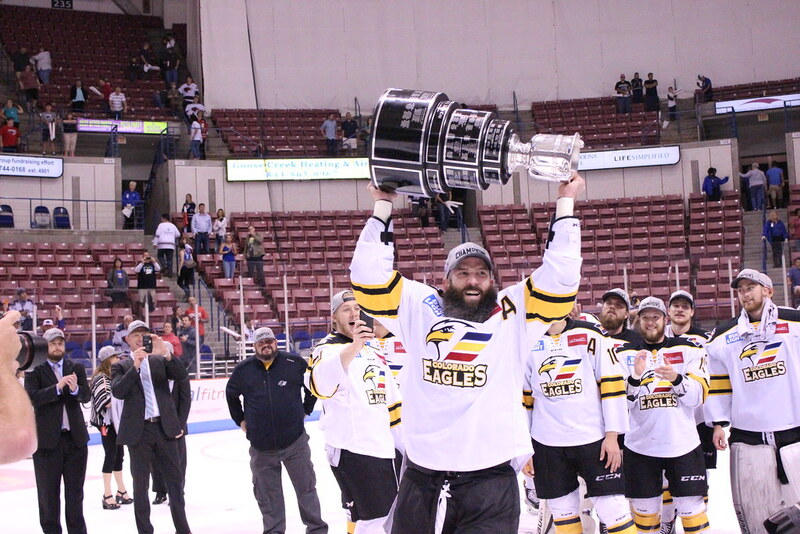 Eagles defenseman Matt Register was named the Kelly Cup Playoffs Most Valuable Player, the first blueliner to ever win the award. 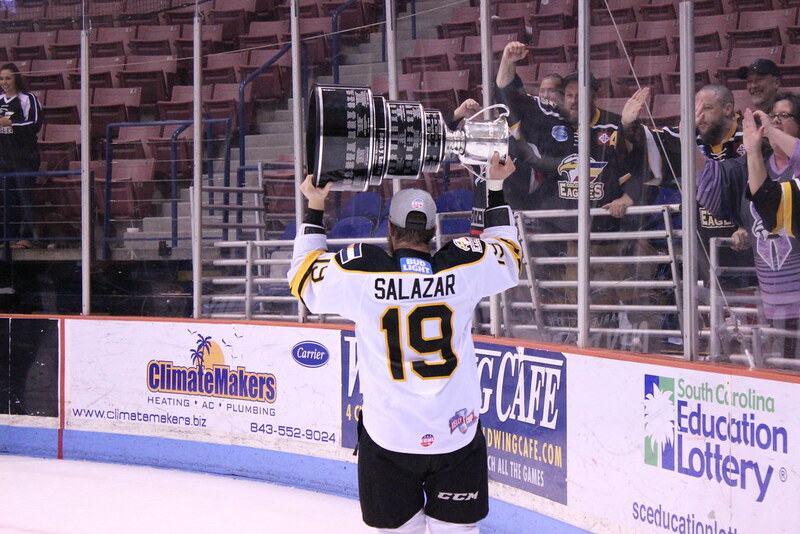 Register, lifting the Kelly Cup for the second consecutive year, scored eight goals with 16 assists in the postseason. 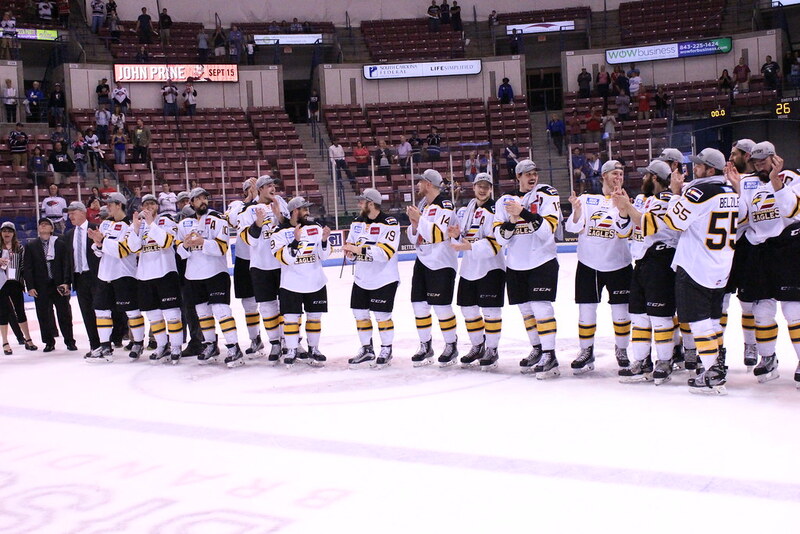 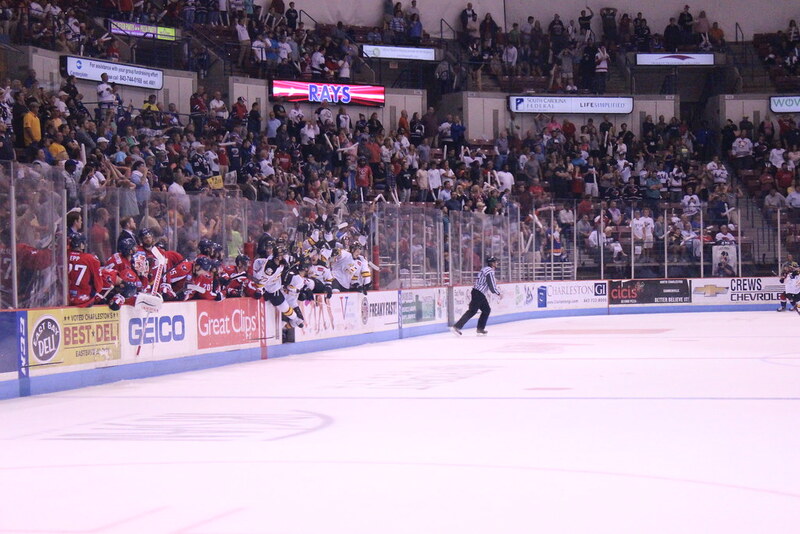 Check out this photo gallery from The Sin Bin’s Sarah Hobday of game four of the Kelly Cup Finals!